Graham DeLaet: Better late than never? Given the talent that is obvious when you watch Graham DeLaet play golf, you might think that he would have burst onto the PGA Tour scene a little bit earlier in his career. After all, he was a standout performer at Boise State University in his college days, and it wouldn’t have been a surprise to see him make a quick move up onto the Tour. That isn’t the way it played out, but nonetheless, DeLaet is now taking his place among the best in the game. One of the first things you will notice when you see DeLaet play on Tour is simply what an impressive athlete he is. Despite standing less than six feet tall, he is in impressive physical condition and it is no surprise that he can work the club through impact with such power and speed. He is exactly the picture of what the modern Tour player has come to be – strong, fit, and athletic. Where most golfers used to be a little bit overweight or out of shape once upon a time, those days are behind us. Golf has gotten more and more competitive, and fitness has simply become a required part of the equation at the highest level. A big part of the reason that DeLaet has arrived on the scene a little bit later than his talent might have indicated is that he has been set back by injuries along the way. He turned pro in 2007 and made it onto the PGA Tour for the first time in 2010. However, the 2011 season was lost to injury and he spend much of the next couple years regaining his form. It didn’t take long, though, before he was back on his game and he was even selected for the 2013 Presidents Cup team as a demonstration of his standout ability. On Tour, DeLaet is a Titleist player, with Titleist clubs all the way through the bag, with the exception of an Odyssey putter. He uses a combination iron set, with cavity back long irons and muscle back mid and short irons. This is a popular strategy for many players, whether they are professionals or amateurs. If you are a golfer with moderate to advanced skill, you might want to look into this option as a way of improving the performance of your iron game. The cavity back long irons offer more forgiveness than do the blades, while using blades in your short irons provides more distance control and feedback on your shots. It is very much the ‘best of both worlds’ when you employ this strategy. The muscular frame that is so obvious as DeLaet works his way around the golf course is translating into some rather impressive power numbers – especially for a player who stands less than six feet tall. Graham DeLaet’s swing speed so far on Tour in 2015 is a whopping 117.68 MPH, which ranks him within the top 30 on the Tour. That club head speed is translating nicely into total driving distance as well, where he ranks 17th at more than 302 yards per drive. Before you think that he is just reaching back and swinging as hard as he can, however, it is important to note the accuracy that comes along with that power. DeLaet’s drives are finding the fairway more than 63% of the time, helping him to rank 5th in total driving at this time. There is certainly more to success on the PGA Tour than just great driving, but that is a nice way to start. Even if it might have taken a bit longer for DeLaet to make his mark on the Tour than some would have expected, the future looks bright for the 33 year old. His first ever major championship with the Open Championship in 2013, so he has plenty of experience still to gain and would figure to only get better and better as the tournaments go by. Those who enjoy watching powerful players with impressive golf swings go about their business will want to keep an eye on Graham DeLaet in the years to come. Proper equipment has a lot to do with success in golf. While golf clubs are never going to be able to hit the shots for you, it is important to have the right golf clubs that match your swing and are able to produce the ball flights that you are looking for. Some golfers try to find the clubs that they can hit the farthest, while others focus on accuracy first. Perhaps the best way to build a set of clubs is to pay attention to both of those characteristics and find clubs that offer you the best combination of the two. Picking out a driver can be the most exciting part of the equipment buying process, because it is the club that can offer the biggest thrill when it is pulled from the bag. However, you want to make sure that while you are figuring out how to maximize distance with your driver that you also have a club which is suited for hitting fairways as well. Outside of having something like a second driver (one for distance and one for accuracy), a popular, and successful, strategy is to pick out a three wood that is well-suited for use off the tee to act as a ‘second driver’. When you reach any par four or par five hole, you simply decide which is best suited for the layout of the hole and use it to hit your tee shot. A main concern to have for scoring when setting up your short irons is to make sure they are easy to control and offer good feel. It doesn’t matter as much how far you are able to hit your short clubs, as long as you can control them and generate the ball flights that you are looking for. Before you purchase any set of irons, find a golf shop that will allow you to try them out first so you can learn how they feel for yourself. Don’t rely simply on the opinions or reviews of others, as feel is something that will vary from player to player. Depending on your skill level and club head speed, you may wish to swap out some of your long irons in exchange for some hybrid clubs. This is a personal choice, and there is no right or wrong answer to how many of each you carry in the bag. Hybrid clubs can hit the ball higher and be great for long par threes and reaching par fives in two shots, but long irons are sometimes easier to control and can be great off the tee on short par fours. Experiment with both options and settle on the choice that you are most confident in when you stand over the ball. 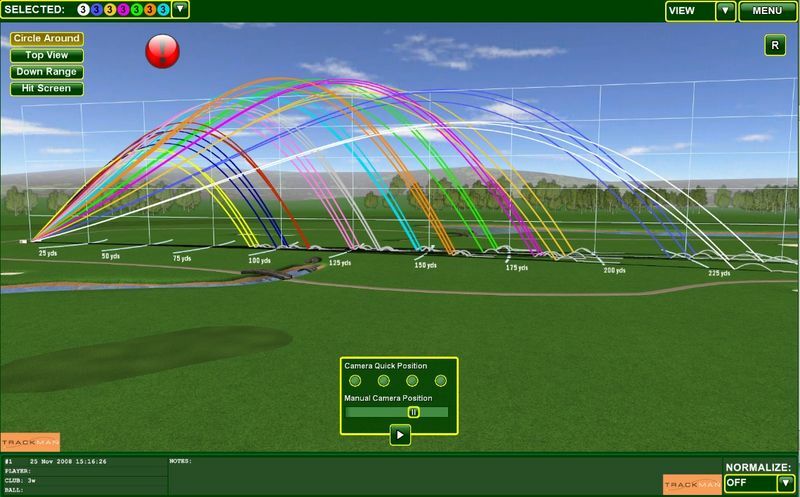 Ideally, with any of the above mentioned situations, you’ll go through an entire fitting with a custom club fitter. It’s like wearing the right size shoe. Your performance will be much better wearing the right size as opposed to something that is a couple sizes to big or small. If you liked the article about achieving distance and accuracy with golf clubs and you think it would help another golfer, please like it. How Far Should You Hit Your Golf Clubs? Jaacob Bowden’s new GolfWRX article called “How Far Should You Hit Your Golf Clubs?” just came out.